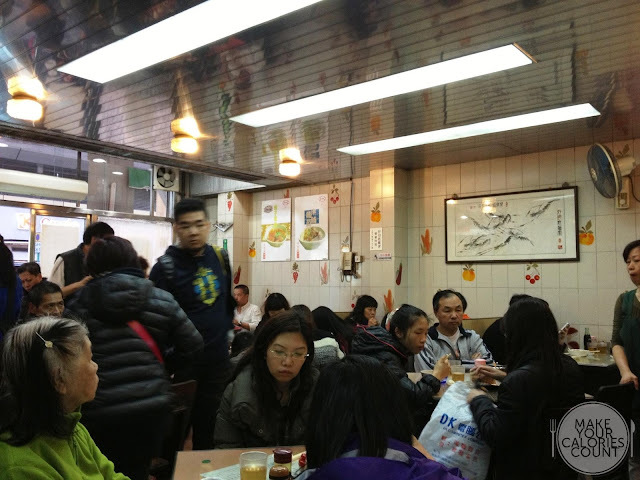 Following our recent write-up on Lau Sum Kee Noodle, we visited another noodle shop recommended in the Hong Kong Michelin Guide 2013. With expectations running high, were we poised for a disappointment or was it yet another gem find? 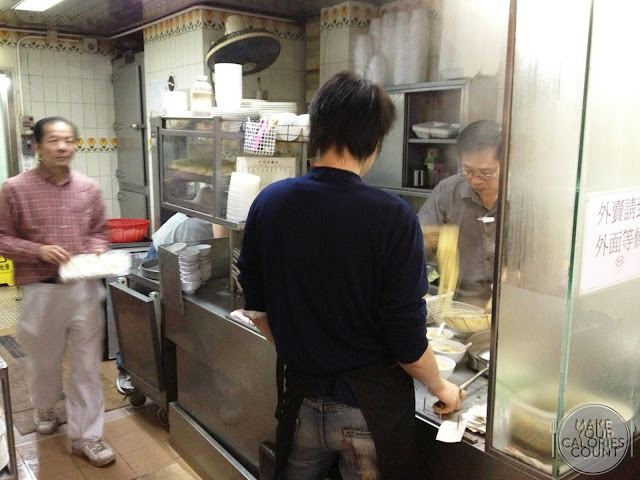 This was one of the finest shrimp roe noodles tried yet. 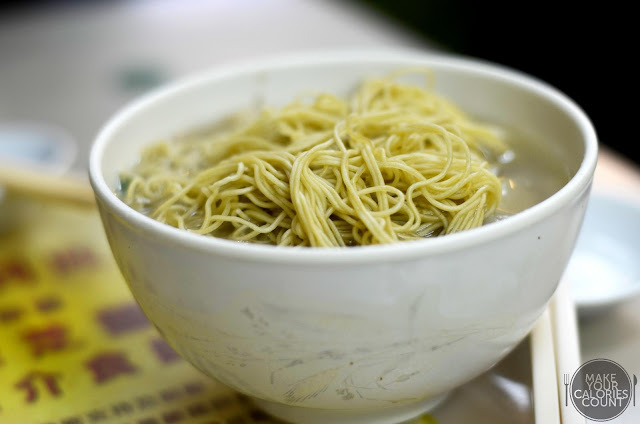 The noodles were al dente, having been cooked perfectly. 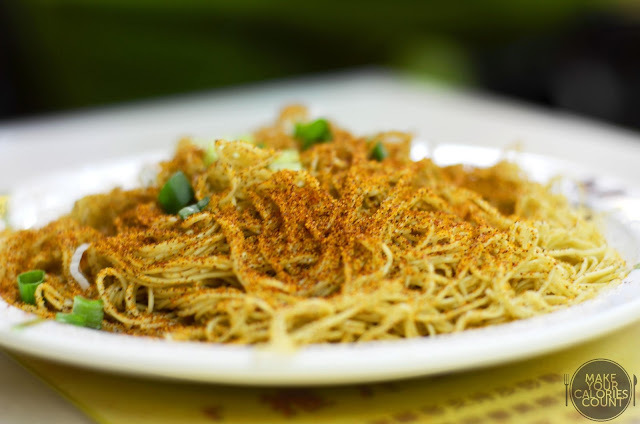 It retained a slight tautness within the egg noodles and did not taste as starchy compared to Lau Sum Kee. The shrimp roe was generous in serving but it was also a tad pricier. 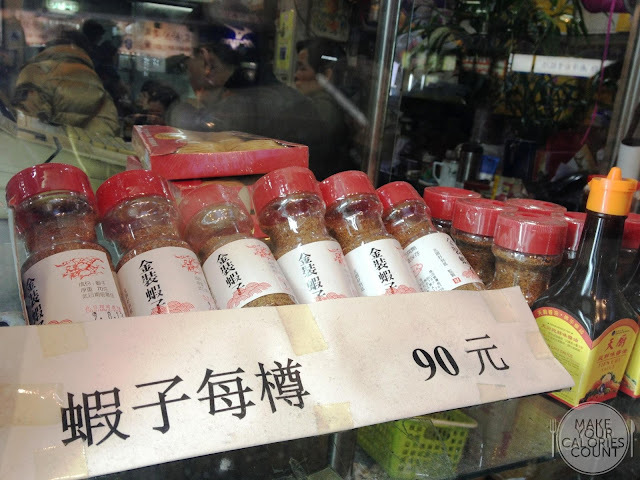 The dried shrimp roe had a beautiful vermilion colour, with a slight tan shade. It had an addictive salty-umami taste and before long, the plate was emptied by two hungry diners. 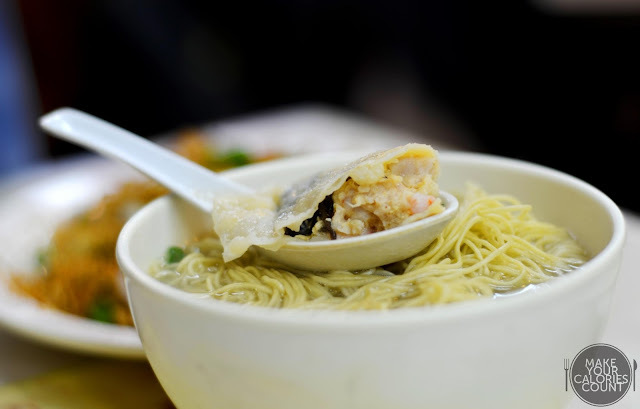 The shrimp-filled wanton with minced meat was a savoury treat, but we preferred the one tried at Lau Sum Kee due to the latter's addition of dried shrimp roe into the seasoning. What set this dish apart however was the excellent broth, which we gladly emptied. 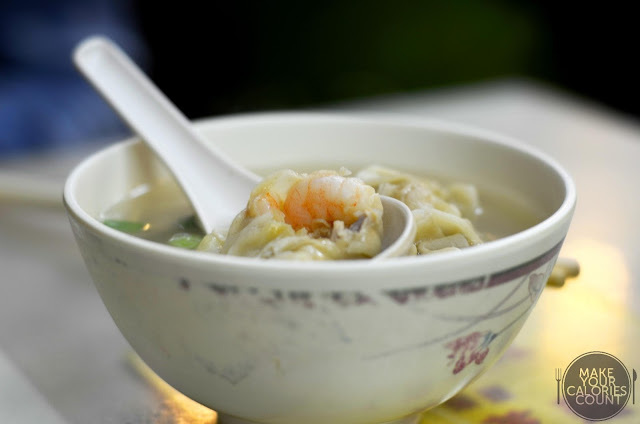 Slow boiled with pork and fish bones, the broth was rich in flavour and the best part was, the lack of MSG did not leave us scurrying for water. The downside though, which was true across the bowled dishes was that the portion was too small. Even at $20, we felt that that it was slightly overpriced. 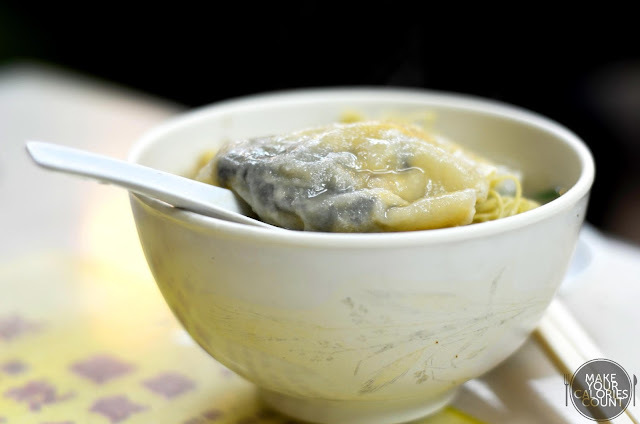 The dumplings were savoury and full of texture, especially so with the addition of shredded black fungus, which offered a slight crunch to the soft minced pork and shrimp. 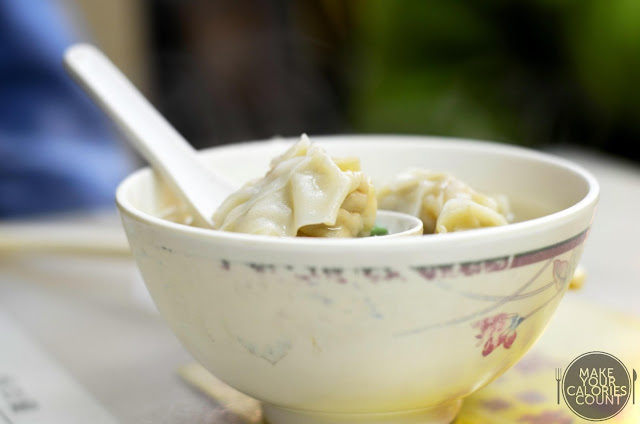 The broth however tasted slightly different from the wanton's version and we gladly passed when MSG was tasted. 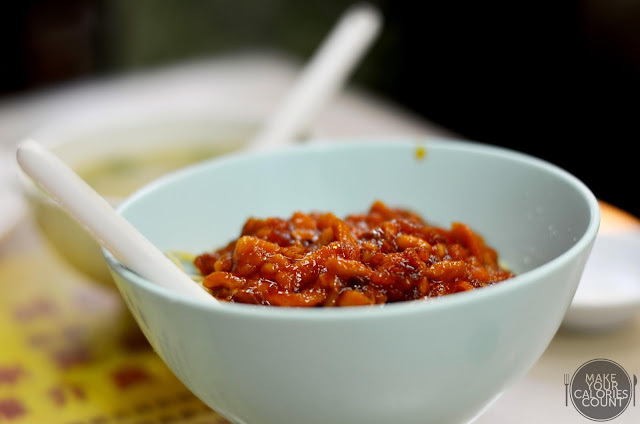 With a mixture of ground pork stir-fried with salty fermented soybean paste, we found this version lacking in flavour. It somehow failed to deliver a strong umami punch. Instead, the sauce tasted sweet and it did not appeal to our palate as much. 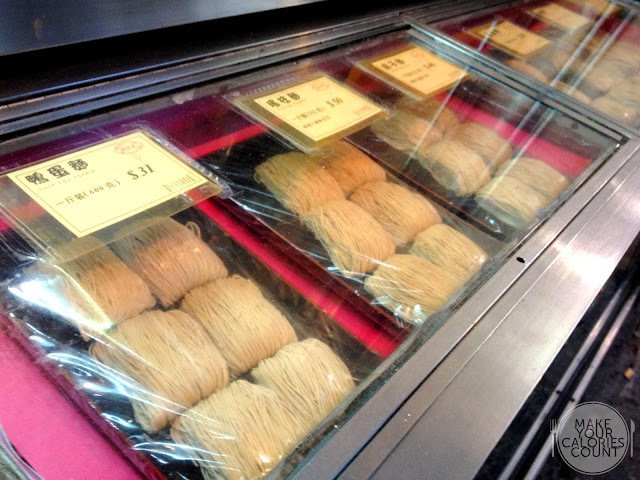 For diners interested in bringing some of the lovely delicacies home, the egg noodles and dried shrimp roe were packed for sale. 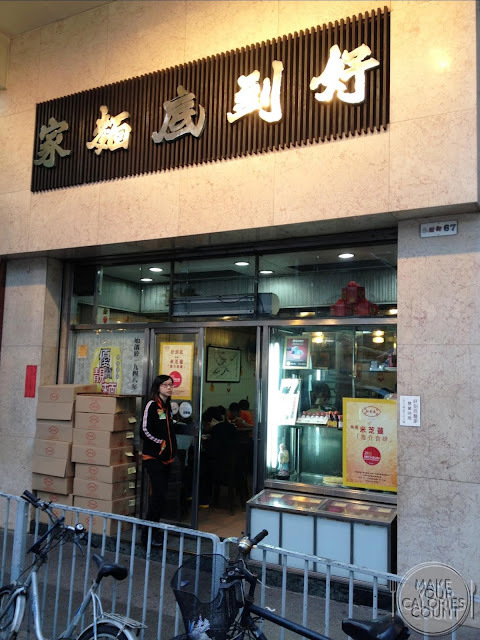 Discreetly tucked away at a corner in Yuen Long, Ho To Tai is certainly deserving of its recommendation by the Michelin watchdogs for 3 years running and counting.